Once you have Content ID, you can manage your music rights at scale and earn revenue from videos that contain your copyrighted content. Explore how asset ownership, policies, and claims impact monetization—and review pro tips to improve your operations on YouTube. It’s important to manage asset ownership because this impacts the application of policies, including monetization, on claimed videos. After you deliver your music content to YouTube, you may need to update ownership information when it changes, such as a through a business merger or acquisition. Here’s how you can deliver new ownership information. To transfer ownership of assets to another partner, you can share a list of asset IDs with the new owner (through an export to CSV or asset report). Next, the new owner can add ownership to the assets and you can remove ownership. Remember to resolve any asset ownership conflicts. For music assets, conflicts arise when multiple content owners declare asset ownership percentages that add up to over 100% in a given territory. You can look in your CMS Dashboard to find ownership conflicts. Ownership conflicts can cause monetization to be suspended, although music content (Music Videos, Sound Recordings, and Composition Shares) may continue to monetize if all owners have set a Monetize policy. Note: Any revenue earned during this period would be distributed to asset owners when the conflict is resolved. For more details on embedded music asset relationships, read our articles on the asset data model for publishers and labels. View your asset ownership within Content ID. You can update policies across multiple assets at once with the bulk update function. Resolve conflicts to ensure that the appropriate partners get paid for their respective territories. YouTube offers predefined policies to monetize, track, or block videos that contain your content, allowing you to assert your rights at scale. You can customize your policies for more granular control, so that outcomes align with your business goals. Your custom policy gets applied if the conditions are met for the associated rules. For example, if you own a catalog of Music Video assets, you may decide to monetize fan-uploaded clips in one territory, but block in another. YouTube gives you the option to set a custom policy to route for manual review. For example, you might use this policy to verify a claim on a video that Content ID identifies as matching <50% of your reference file. The claim would remain inactive until you review it. When a video is claimed by multiple assets, YouTube examines the policies of all the asset owners to determine the applied policy on that video. If these owners have different policies, YouTube applies whichever policy results in the most restrictive action to the claimed video. For example, let’s say a user-uploaded video is a mashup and gets claimed by multiple assets. If one partner has a Monetize policy, while another partner has a Block policy, YouTube blocks the video. One last note: YouTube’s ad serving system incorporates a number of factors in determining whether to display an ad. Depending on circumstances, ads may not always appear every time a video is viewed, and may not appear at all in certain territories. Confirm your custom policies have conditions that would match only content for which you have exclusive rights. After you set all your conditions, you can preview before you save your custom policy. Content ID provides music content owners with sophisticated tools to manage and monetize intellectual property on YouTube. While the technology automates much of the process, partners should consider what internal resources may have to be allocated. By managing your claims workflow diligently, you can maximize revenue opportunities and address auto-claim mistakes that may negatively impact you, other partners, or the wider YouTube community. Check your metadata. If you notice anomalies in asset identification, try looking at your metadata. For example, do you have correct data in the ISRC field for Sound Recordings? Clean up reference files. Refer to our guidelines for eligible content. Avoid content that is embedded third-party, public domain, non-exclusively licensed, soundalike, or overly generic. You can use our tools to exclude ineligible content, validate potentially invalid references, or fix reference overlaps. Respond to disputes. A large number of disputed claims may indicate a problem with your reference file or match policy. Review disputes and release claims on content you don’t own. Conduct a claim audit. A good way to reduce erroneous claims is to periodically review top assets, top claims, and recent claims. Try using the search filters on the Claims page to find certain types of claims and recognize patterns of problems. Note: If you’ve cleared or licensed content for use on another channel not linked to your Content Manager, you can whitelist that channel so your references won’t make claims on the channel’s video uploads. 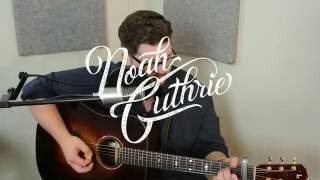 When cover songs are uploaded to YouTube, they can be claimed by the publisher or other rightsholder for monetization. 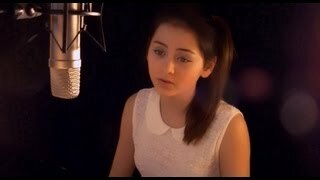 Jasmine Thompson covers this track, written by Bruno Mars and others. 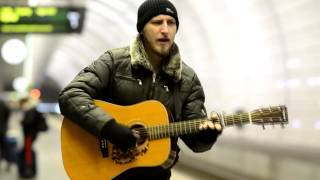 Vedran Djurasovic from Montenegro performs an acoustic cover of this song from The Cranberries’ 1994 album “No Need to Argue”. 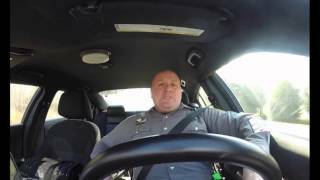 This police officer’s lip sync rendition of Taylor Swift’s “Shake It Off” became an Internet sensation in 2015. 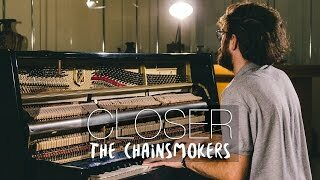 Content ID can also recognize melody matches, such as this piano cover of The Chainsmokers’ “Closer” by a 19-year-old Italian creator. YouTube has many reports available through YouTube Analytics in your Content Manager to give you insight into your asset performance and other metrics to help drive your business. Asset report. You can check ownership information for a set of assets, and see all assets with a particular match policy. Which of our assets have a Block policy? Asset conflict report. You can see territories in conflict and the last ownership change for assets with ownership conflicts. With which other content owners do we have asset ownership conflicts? Reference files report. You can see all references from your content owner, along with reference video IDs, reference IDs, and asset IDs. What reference is associated with this video (or asset)? Claim report. You can see all active claims under your Content Manager, along with the applied policy, claim type, and origin. How many user videos claimed by our assets have an applied match policy of "Block in all countries"? Other reports from YouTube contain revenue data, to compare earnings and determine payouts. Keep in mind that access to certain data may depend on your user role. You also may be interested in YouTube for Artists, a public site with resources, tools, and news for musicians on YouTube. Check out YouTube Charts for the most popular and viral music content on YouTube this week, or YouTube Insights for viewership data based on location. The Art Track report includes ownership status of Art Tracks, listed by ISRCs. Publishers may find these specific reports: Ads and YouTube Premium. Labels may find these specific reports: Ads and YouTube Premium. As a music partner, you can make the most of YouTube by staying current on new product features and best practices. We encourage you to visit the Content ID for Music Partners site regularly to refresh your knowledge. The YouTube ecosystem thrives from the participation of content owners, creators, advertisers, and viewers. Music publishers and labels contribute content that inspires and entertains fans around the globe. Browse the Creator Academy to find courses on a range of topics, including strategies for Artists to promote their music, build their presence, and grow their career on YouTube. For in-depth education, check if you’re eligible to get YouTube Certified as an individual or company. This certification program can help you learn the ins and outs of channel creation, growth, optimization, and monetization.